Shanny's "W-CLS" system is growing thanks to the new SN910TX radio transmitter, which can trigger the SN910EX-RF flash. Is it any good? In my recent review of the Shanny SN910EX-RF, you can read about how Shanny has managed to give Nikon users access to some well-functioning speedlites with integrated 2.4 GHz TTL transceivers. 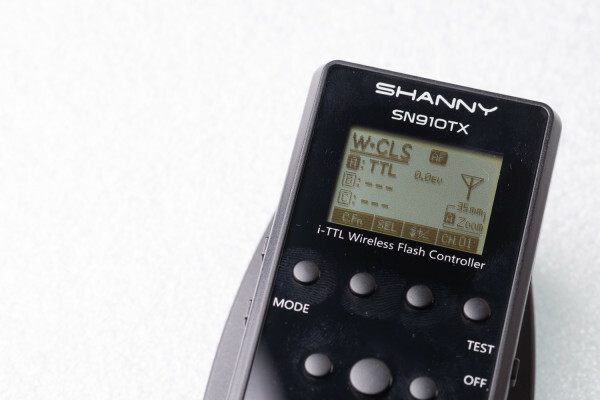 A big caveat, however, was that at the moment of writing Shanny had not released a dedicated transmitter yet, meaning that you had to trigger the so called W-CLS system with a big bulky and expensive additional speedlite as transmitter. With the introduction of the new SN910TX this has changed. 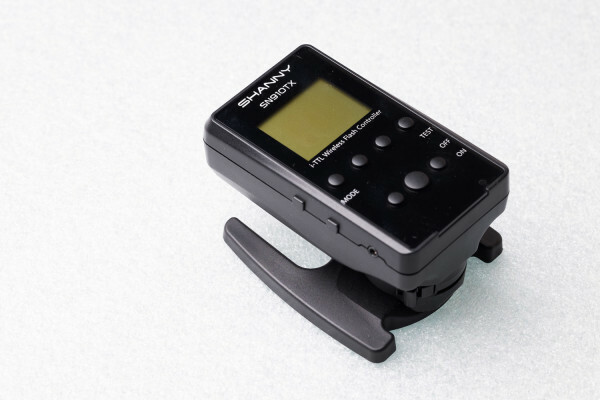 The Shanny SN910TX is a dedicated transmitter for the Nikon speedlites of Shanny which feature a 2.4 GHz transceiver. For now there is only one W-CLS compatible speedlite from Shanny, SN910EX-RF, but they may release more (and cheaper) models in the future similarly as they did for the Canon system. Shanny was willing to send me an early sample of the SN910TX so I could test it. In this review you will be able to read my experiences with this dedicated transmitter. As several readers already pointed out in the previous article about the SN910TX, the transmitter looks different than what we would expect from Shanny. 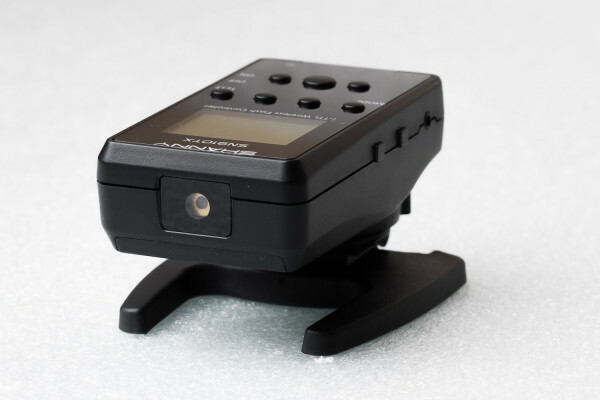 Instead of creating something similar to their SN-E3-RT transmitter for their Canon speedlites, they took a rather different approach which resulted in something that looks like it was based on the YongNuo YN622TX, as can be seen below. I am not sure if this is a step in the right direction, since the size of the screen has been significantly reduced. The information that is normally contained on the bigger screen of the SN910EX-RF speedlite has been shrunk and put on the smaller LCD display. Even though the display has reduced in size, it still can be read easily, since the contrast and backlight of the display is good. I do think that people who normally need reading glasses would have appreciated a bigger screen since the characters have become quite small. Another consequence of the smaller size is that several buttons have now been moved to the sides of the trigger. Even after using the trigger for several shoots I still manage to press the wrong buttons because I forget that there are buttons on the side. The finish of the plastic and the feel of the buttons is similar to what we would find on the SN910EX-RF and other flashes from Shanny. As expected Shanny has made a product which appears and feels to be well-built, albeit looking a bit basic. Using the SN910TX as a transmitter is very similar to using a SN910EX-RF as a transmitter. Basically Shanny has taken out the speedlite part of the SN910EX-RF and repacked the remaining components into a much smaller package. For instance we see the same type of locking hot shoe, AF-assist light and the same menu structure as we would see on the speedlite. Users of the SN910EX-RF will find usage to be intuitive. As mentioned before, the button layout has slightly changed. Besisdes the buttons on the sides, it seems that Shanny also read my SN910EX-RF review since flash power is now adjustable with buttons, instead of with a dial. Personally I think that dials are always problematic, since they are either to stiff and difficult to rotate, or too loose and they are too easy to rotate. During the few outings I had with the new transmitter I noticed no change in regard to performance between the speedlite as transmitter and the new dedicated transmitter. The W-CLS system is good and reliable, irrespective of whether you are using the SN910TX or the SN910EX-RF as transmitter. 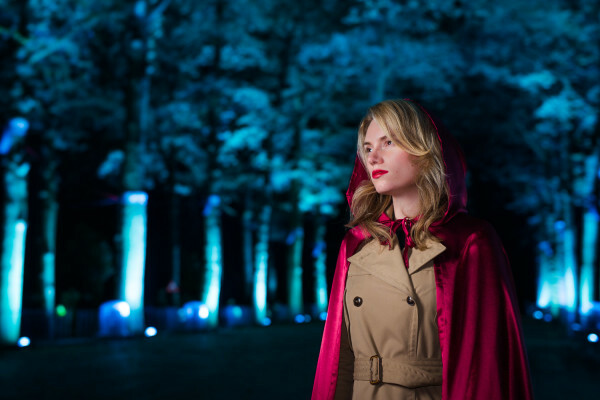 As is the case with all TTL systems, TTL metering can be easily fooled when flashes are used off the camera axis, but the Shanny does just as well as other wireless TTL systems. With the release of the SN910TX, the 2.4 GHz W-CLS system from Shanny has become a little bit more mature. As I wrote in my review of the SN910EX-RF, I think that Shanny makes one of the better speedlites with integrated TTL transceivers, albeit a bit expensive. Personally I would like to see that Shanny releases an additional cheaper W-CLS speedlite that can only function as a slave. Additionally a receiver for non-Shanny flashes would be highly desirable too. Both these two items would make it easier for new photographers to start using Shanny’s W-CLS system. Although the transmitter performs well, similarly to using a SN910EX-RF as master, it is not the dedicated transmitter that I would like to have seen from Shanny. 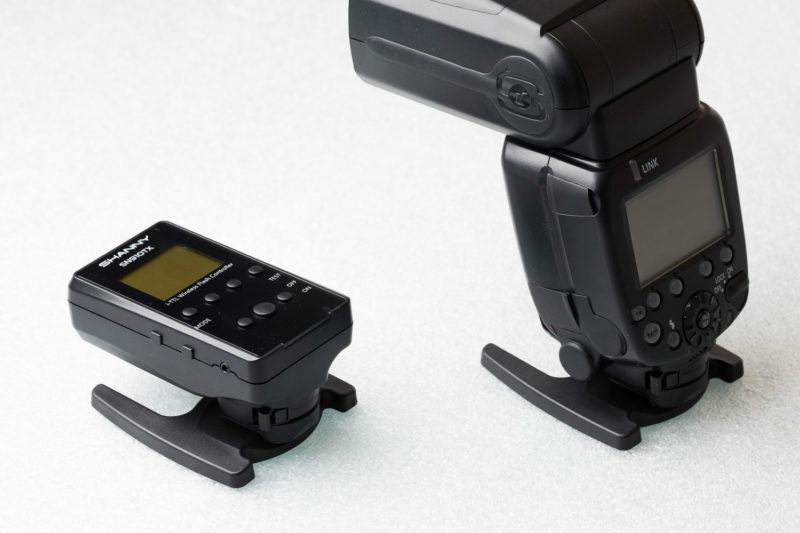 The SN910TX looks less refined than what Shanny offers as dedicated trigger for the Canon system. The design of the new trigger feels like a step into the wrong direction for me. Buttons on the side should not have been there and the LCD display could have been bigger. For the people that I considering to buy into the W-CLS I would highly recommend to read my SN910EX-RF review since the SN910TX is merely an extension of the SN910EX-RF flash. If you already own one or even multiple SN910EX-RF speedlites then the SN910TX is highly recommended. It is much more convenient (and cheaper) than using a speedlite as trigger. Especially when you consider the price — available on eBay for $50 — I think it is an easy decision to make.